Dramatic shifts are occurring in the way customers purchase products and services in the U.S. and other countries. Evolving consumer behaviors have made the regular use of credit and debit cards the dominant payment methods, new payment types like Apple Pay are gaining ground, and the growing use of smartphones, online shopping, and cloud computing are having significant impact on the retail landscape. Although simple payment terminals are still commonly used, software-based payment solutions on a phone, tablet, kiosk or computer have become more commonplace to meet the demands of merchants and consumers for both convenience and security. To keep pace with the demand, payment companies also have made the shift to these new solutions. For example, Total Merchant Services started as a terminal-based payment provider, but now offers a proprietary point of sale solution as well as easy-to-use APIs to enable software developers to integrate payments into their applications. Self-service has been increasing in numerous industries given the advancement of computers and electronic kiosks. Common examples of self-service include the way we purchase gas or check in for a flight at an airport. This concept is rapidly expanding to other industries, and these providers are integrating payments into their workflow. An interesting example is MySeniorCenter, a cloud-based system that enables people who visit senior centers to manage their experience via a touchscreen. The system started in 2004 and is now used by more than 800 senior centers throughout the U.S. The system enables visitors to review a calendar of events and a catalog of classes, sign up for events, classes or meals, and pay for the services with a credit card. Another example of self-service is Scannx, a cloud-based scanning service for libraries. The system makes it simple to scan, store, and send digitized content as searchable PDF documents to Dropbox, Google Drive, email, smartphones, tablets, and local USB drives or printers. Scannx has also integrated a payment capability that enables users to pay by debit or credit card for use of the scanners. As many merchants seek out point of sale systems to help manage their business as well as their payments, developers of business software applications are integrating payment acceptance into their solutions. One company that has integrated payments with Total Merchant Services is My Best Studio, which provides point of sale and web solutions for yoga, Pilates, dance, and other fitness studios. The solution includes software to manage day-to-day operations, online web solutions, and advanced payment features such as auto-billing. Total Merchant Services also offers its own point of sale system called Groovv POS. 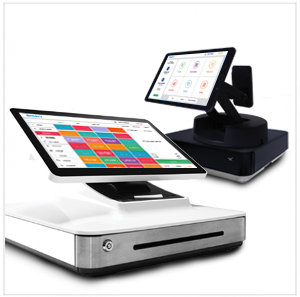 Designed for small retailers, the system includes a tablet, EMV/NFC payment device, cash drawer and receipt printer, as well as software providing inventory management, business intelligence reporting, shift management, marketing/loyalty programs, and split tickets and tipping capabilities. Practice management software developers serving the healthcare industry are also integrating payment capabilities into their solutions. Total Merchant Services works with several providers, including Eyefinity, which delivers solutions for thousands of optometry practices via the OfficeMate and Acuity Logic brands. The software supports patient communication, billing, claims, business analysis, lab ordering, and inventory management. Total Merchant Services provides an easy-to-install payment SDK that enables the Eyefinity software to communicate with an EMV-compliant terminal and securely integrate payment records for the doctor’s practice. Businesses are continually seeking solutions to improve efficiency and keep pace with consumer needs. With today’s technology, it’s now possible to integrate payment capabilities with software that performs other vital business functions. As the integration trend grows, software developers and payment processing companies will need continued cooperation to keep up with evolving merchant and consumer demands.